Have you ever heard of the saying “It takes a village to raise a child”? Well it didn’t take a village to help raise my daughter Lauren Hope but it definitely took one amazing hospital. I found out at my fifth month ultra sound that my youngest baby would be born with a congenital heart defect. The doctor said it was Shone’s Complex. A complex congenital heart defect that would require more than one open heart surgery, the first surgery would happen at birth. When most couples are planning a baby shower, I was searching the internet for medical terms, doctors and heart surgeons. So many emotions, so many questions. Would she survive? What do I tell my other children? I remember driving back from the hospital after a fetal echo, and crying and asking “Why Lord?” What came to my mind was Jeremiah 29:11 “For I know the plans I have for you Lauren says the Lord; plans to prosper you and not to harm you plans to give you HOPE and a FUTURE.” This promise I have held on to all throughout Lauren’s journey. I pray it over her daily. Lauren had her first surgery the Norwood at five days old. She had her next at three months and then the Glenn at six months. I will admit this time was a blur. It was a time of meds, feeding tubes, breast pumping and little sleep. I don’t think I even add a chance to bond with Lauren much. I was on a mission. I was a mommy warrior! It wasn’t until Lauren turned a year that I finally let out a huge exhale and breathed. I could finally enjoy her, I could I finally let my guard down and I fell in love. Lauren had her Fontan surgery in April of 2009. Things seemed different after this surgery, recovery took longer. She needed a stent, she couldn’t wean off post surgery meds. Things just didn’t add up. After many months of struggles and her body rejecting the last surgery Lauren’s body finally let everyone know in October of 2010 that it didn’t like the Fontan and something needed to change. 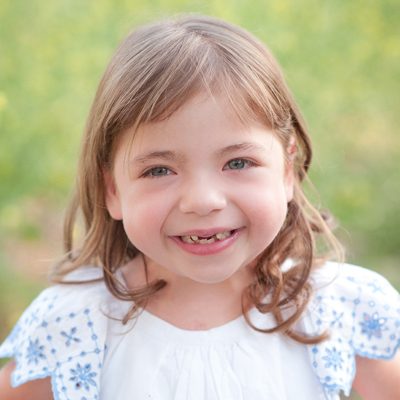 Lauren was placed on the heart transplant list on Thanksgiving of 2010. It still feels like a dream sometimes. Praying and hoping for a new heart for your child, is so surreal. This is one situation you are never prepared for. Lauren waited for a little over four months for her heart, and we stayed in the hospital for over six months. Loma Linda Children’s hospital no longer was a place we visited for check ups, it was home. The doctor’s and nurses were now friends and no longer staff. Even the cleaning lady on the unit is now a close friend. Life in the hospital is much different than life on the outside. Literally you live moment by moment. I have seen things I hoped I never would. But at the same time I have seen God move in ways that I know man had no involvement in. Miracles do happen! I have seen them. The day I heard the words, “Mrs. Gentry we found a PERFECT heart” was March 3, 2011. Woohoo!! It’s funny you think you will act one way when you hear those words but to be honest I didn’t know how to act. Some of the words that come to mind are grateful, shock, joy, relief, praise, oh and by the way here comes the nine-hour surgery! Praise God Lauren did amazingly well. Again, miracles do happen! This first year post transplant has been a year of ups and downs, but even with all the bumps HOPE feels our hearts and minds! As we just celebrated Lauren’s one-year heart birthday she is happy, healthy and just look in her eyes and you see a girl who knows she has a sparkly new heart. Possibility, that is what Lauren has. Her future is wide open! Our hearts are forever knitted together with our donor family. I cannot thank them enough for saying YES! © Little Heart Warriors | Little Heart Warriors is a Nonprofit 501(c)(3) for public use.